Does Chapter 13 Restart the Statute of Limitations? Question: We were in Chapter 13 for 2 years. The credit card debt is 5-6 years old. We had to withdraw from bankruptcy due to terrible lawyer and trustee payments that went from $700 to $3200 a month. Are the debts’ time frame affected by the Chapter 13? Meaning that the clock continues to tick on the statute of limitations or is it halted during Chapter 13? Answer: (Disclaimer: I am not an attorney and suggest you seek proper legal advice). You have asked a very good question. I am going to attempt to give you my best answer but strongly urge you to seek the advice of a competent bankruptcy attorney. An automatic stay during a bankruptcy proceeding means any attempt to collect a debt involved in a bankruptcy can be a violation or discharge injunction. Because the Automatic Stay 11 U.S.C. 362(a) acts to stop any creditor’s ability to attempt to collect the debt or prosecute the matter, the statute of limitations on a debt is “tolled” (stops running) during the bankruptcy. The statute of limitations on debt can be re-started under certain conditions. Those conditions vary from state to state; but, generally acknowledging you owe the debt, making partial payment on the debt or even agreeing to make payments could re-start the statute of limitations. 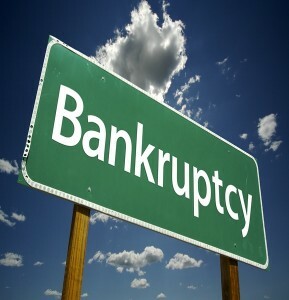 But in general filing a Chapter 13 bankruptcy does not restart the statute of limitations on a debt. The automatic stay is in effect at the beginning of filing a Bankruptcy petition and lasts until discharge is granted, a dismissal occurs or if a creditor is granted a motion for relief from the automatic stay. If a bankruptcy case is dismissed then the “tolling” of the statute of limitations restarts where it left off. In other words, the clock begins to tick again. But the statute of limitations does not begin from the date of the bankruptcy dismissal nor does payment on the debt during the bankruptcy act to restart the statute of limitations. Payments made to the Trustee for debts do not serve to reaffirm the debt and restart the statute of limitations because reaffirmation is a voluntary action by the debtor. In a Chapter 13 bankruptcy, the Trustee decides what debts to pay; and therefore, the debtor technically cannot be said to have voluntarily reaffirmed the debt. If the debtor does not complete the bankruptcy and it is dismissed then the clock instantly begins ticking again at the precise point in time where it stopped. The date of first delinquency meaning the bill was due and it went unpaid and no further payments were made, the clock on the statute of limitations started to tick. The clock ticked up to the date the bankruptcy was filed. Once the bankruptcy was filed the clock stopped ticking. When the bankruptcy was dismissed the clock began to tick again. You will have to do the math but you may be in the clear if the statute of limitations has passed on the debt. This means the debt is uncollectible and you cannot be sued if the debt goes unpaid. It does not mean a debt collector cannot pursue you for the debt, it just means you do not have to worry about a debt collection lawsuit being filed against you. If your debts are still within statute of limitations and you cannot pay you still have options. Since you could no longer afford the Chapter 13 planned payments, you may be able to convert to a Chapter 7 bankruptcy and get a hardship discharge of your debts. Perhaps you can find an experienced bankruptcy attorney who offers free consultations to get further information. The best of luck to you.